Easily recognize aircraft with this handy guide! Passenger & Military. 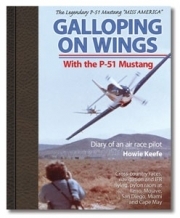 Galloping on Wings with the P-51 Mustang is the action-packed autobiography by air race pilot Howie Keefe. Howie Keefe, USNR (retired), takes you behind the scenes to get a personal glimpse into the amazing and precarious world of air racing. 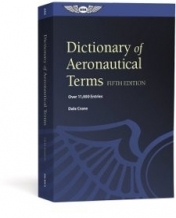 Dale Crane's ultimate reference book now contains more than 11,000 accurate, aviation-specific terms and definitions. The Golden Years of Flying—As We Remember is the legacy of an earlier day in aviation history, recorded by one of the pilots who shared this experience and wrote down his fellow pilots' stories. 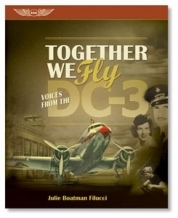 Together We Fly: Voices From the DC-3 is the story of an aircraft like none other - a true legend, the icon of an industry and one of the most recognized aircraft in history. Today, more than 75 years after her first flight, the DC-3 graces the skies of the 21st century. 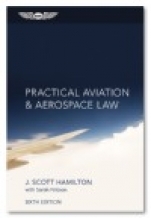 Updated and expanded in its sixth edition, Practical Aviation & Aerospace Law (previously Practical Aviation Law) and its companion workbook function as a comprehensive instructive package for undergraduate and graduate aviation law courses. 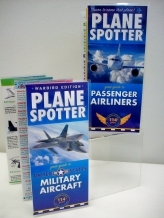 Whether used as a set or alone, this book is an invaluable reference guide for aviation and aerospace business managers, pilots, maintenance personnel, aircraft owners, air traffic controllers, air safety investigators, operators of unmanned aircraft, etc. 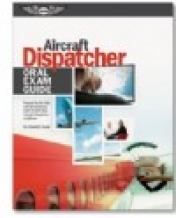 Aircraft Dispatchers are a critical link in air safety and a viable career option for many aviators. This exciting career path is experiencing tremendous growth, placing dispatchers in high demand as the worldwide increase in air travel continues. Let’s go flying! This book lets you delve into the lives of nine women who have earned their wings. Learn about their challenges and their triumphs as they share their personal stories! This book features ten veterans who share their memories of their World War II experiences. This book conveys the stories of more than a dozen pilots who have devoted a great portion of their lives to the preservation of aircraft that have been in their families for decades. 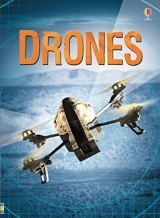 Where can drones fly that no human would dare? Why do engineers turn to nature to design new flying machines? Could a drone space rover reveal the secrets of distant planets? How can a fire rescue drone save lives? Fast, agile and cheap to build, drones offer all the benefits of flight with no risk to any pilot. Already vital tools for the world's armed forces, drones in our towns and cities could transform the way we live, work, and play."